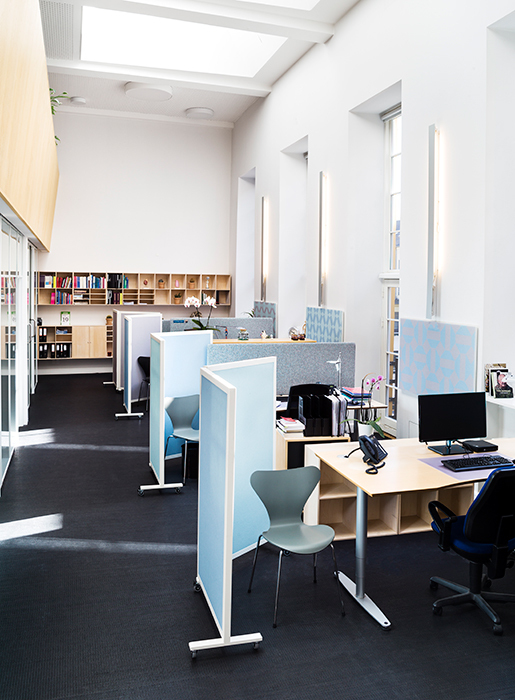 Two major issues was to be addressed in this newly refurbished office: the sound was to be captured before annoying everybody working there and small, intimate spaces were to be created so private conversations with guests can take place undisturbed. By applying the same sound dampening material on the walls and for the dividing walls and repeating the same three colours, we obtained an entity. 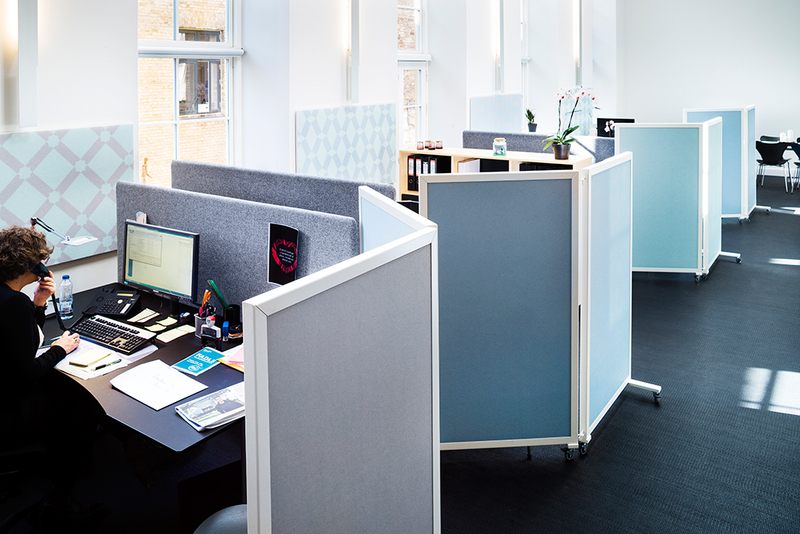 The dividing walls are developed for this occasion – but will from now be part of our product range, of course. 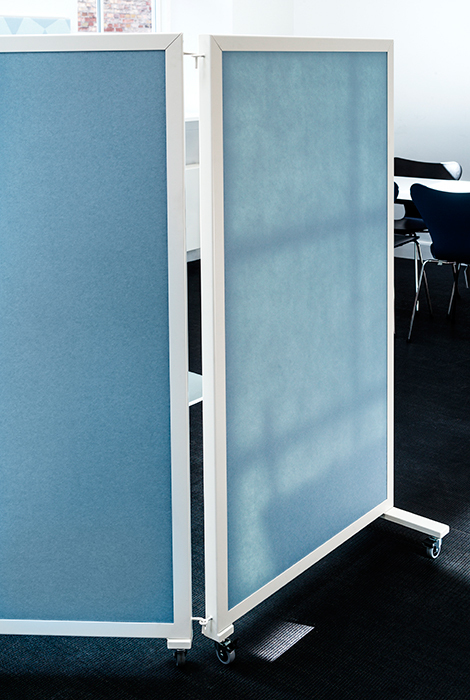 The frame can have the colour you want, the sheet of sound dampening material can also be printed in all the colours and in all decorations, patterns, etc…..